Rüsselsheim. 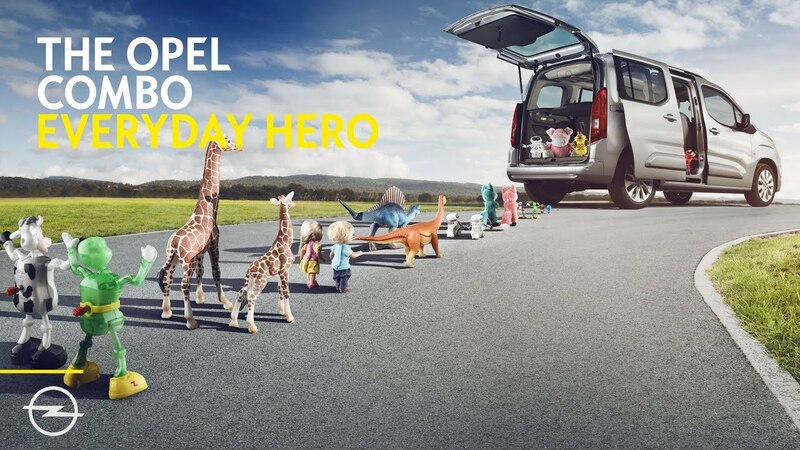 The new everyday hero is in the starting blocks and the order books for the innovative Opel Combo Life are now open. It offers plenty of space thanks to a completely new architecture, flexible configuration optionally as a short (4.4 meters) or XL version (4.75 meters) both with either five or seven seats and robust, Opel-typical design. Full of character, a real space wonder and a true friend that not only families will love. The new Opel Combo Life offers a feel-good atmosphere with an unrivalled number of ultra-modern technologies for this segment. Even for an attractive entry-level price of €19,995 the all-rounder has driver assistance systems such as Forward collision alert with pedestrian detection and Automatic Emergency Braking, Lane Keep Assist, Hill Start Assist, Intelligent Speed Adaptation and Speed Limiter along with Driver Drowsiness Alerts and Speed Sign recognition. Elsewhere, features such as the comfort driver and front passenger seats or tinted heat-absorbing glazing increase the well-being of the occupants of the entry-level version. The portfolio of lively and frugal petrol and diesel engines (Fuel consumption: urban 6.7-4.5 l/100 km, extra-urban 5.1-3.8 l/100 km, combined 5.7-4.1 l/100 km, 130-108 g/km CO2) deliver the matching driving performance. They already meet the stringent Euro 6d-TEMP emissions standard that comes into force for all new registrations in September 2019. The units will be combined with modern five and six-speed manual transmission. In addition, a segment first, especially low-friction eight-speed automatic with Quickshift technology will also be available. It can be ordered in combination with the 1.5-litre, 96 kW/130 hp top-of-the-range diesel that delivers maximum torque of 300 Nm (Fuel consumption2: urban 4.8-4.6 l/100 km, extra-urban 4.3-4.1 l/100 km, combined 4.5-4.3 l/100 km, 118-113 g/km CO2). Apart from the unusual amount of technologies and assistance systems for a car in this segment, the Opel Combo Life will also delight families and traders with a lot of space and maximum flexibility while also maintaining a high level of comfort. Both the standard and the longer version of the 1.8-metre high van are available with either five or seven seats. The five-seat, standard length version has a minimum luggage volume of 597 litres. People requiring even more space can obviously also opt for the long wheelbase with a minimum luggage volume of 850 litres3. The newcomer also displays true transporter qualities with the seats folded down. The luggage volume of the standard version more than triples to 2,126 litres while the long version can carry up to 2,693 litres5. Works automatically above 5 km/h and below 85 km/h. From 0 to 30 km/h the deceleration metric to reduce the impact speed of the collision is 0.9 g. From 30 to 85 km/h the system brakes to the speed by a maximum of 22 km/h. After this threshold, the driver needs to brake himself to reduce the speed even further.